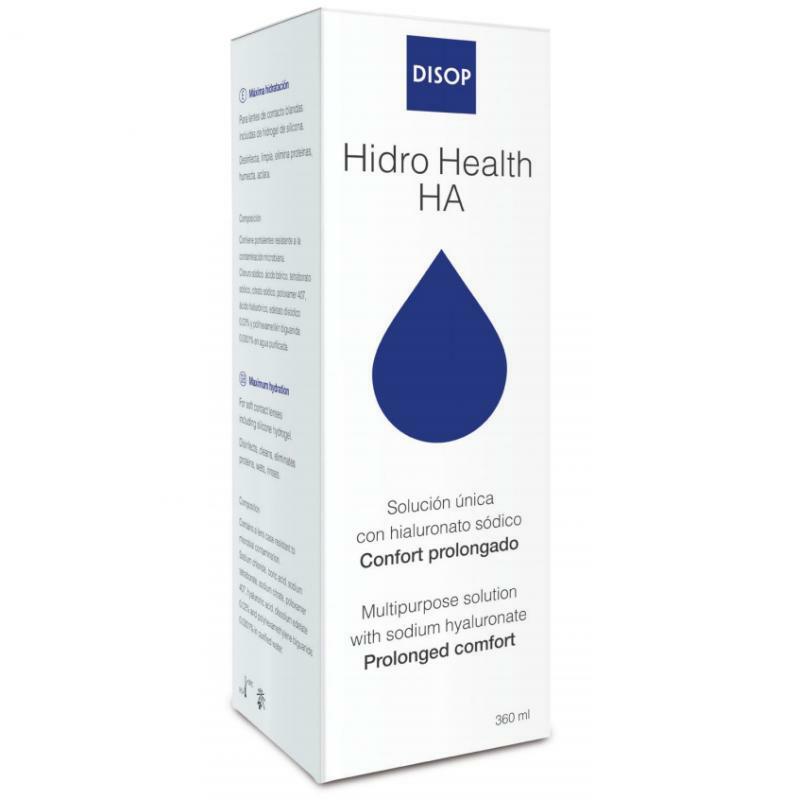 Hidro Health HA is a multipurpose solution with hyaluronic acid used to disinfect, clean, soak, rinse and remove protein from all types of soft contact lenses, including silicone hydrogel lenses. Includes an antimicrobial lens case. 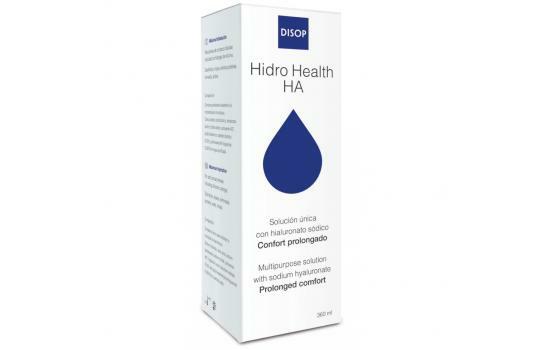 Optimal hydrationContains the best wetting agent (hyaluronic acid), of the highest purity and at the highest concentration (up to 70% more than other solutions). Thanks to the preventative action of hyaluronic acid and the corrective action of poloxamer. Contains citrate, a protein cleaning agent. Physiological pH and same isotonicity as tears. For all types of soft lenses, including silicone hydrogel lenses. Comes with an antimicrobial lens case which prevents microbial growth and biofilm formation. Indicated for users who report discomfort during lens wear, or those wearing their lenses for long periods of time. Discomfort during wear.Indicated for users who report discomfort during lens wear, or those wearing their lenses for long periods of time. Hydrogel and silicone hydrogel lens wearers with oily eye problems. 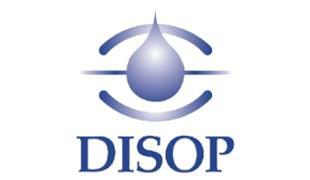 Lens cleaning should be supplemented with an isopropyl alcohol cleaner. Hydrogel and silicone hydrogel contact lens wearers, and conventional lens wearers with dry eye problems. Also recommend moisturising drops. Hydrogel lens wearers with sensitive eyes. If necessary, also rinse lenses with saline solution before insertion.